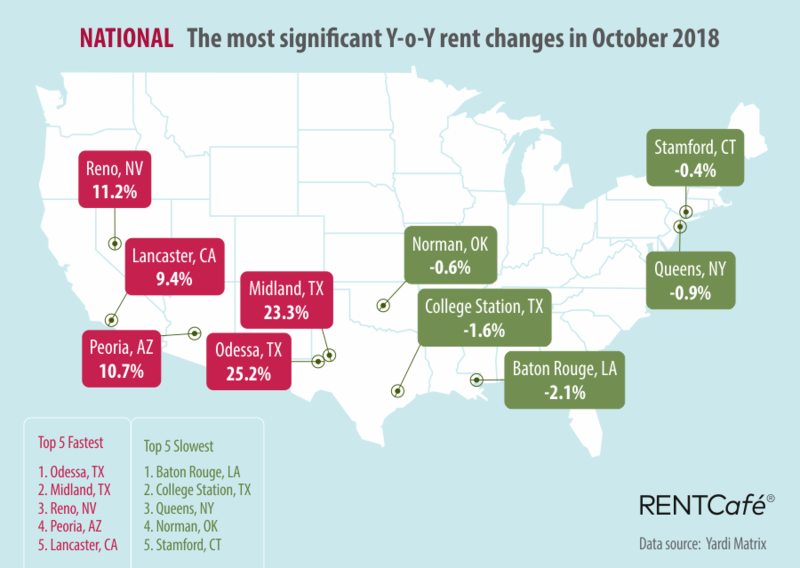 Reno, Nevada ranks in the Top-5 small cities with the most significant Y-o-Y rent increases for October 2018. Reno, NV apartment rents up 11.2 percent year-over-year. Click on the graphic below to See RENTCafé’s® Apartment Market Report for October 2018. This entry was posted in Reno and tagged Reno apartment market, Reno rents. Bookmark the permalink.